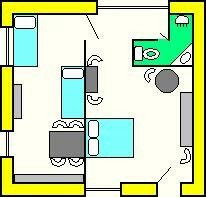 This room is composed of two parts, one with a double bed 180 cm or 2 single beds, and the other part with 2 single beds (see plan below). The bathroom has a shower, wc and wash basin. 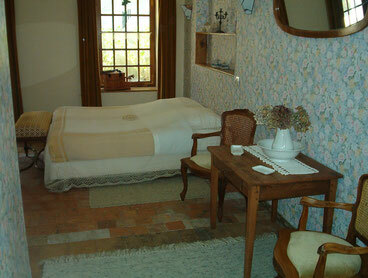 The decoration is romantic with some armchairs, table with 4 chairs, where you can write and play cards if you wish. 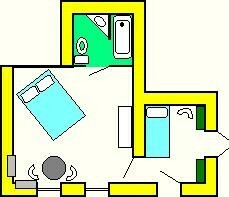 This room is composed of two parts, one with a double bed 160 cm or 2 single beds and the other part with a single bed (see plan below). 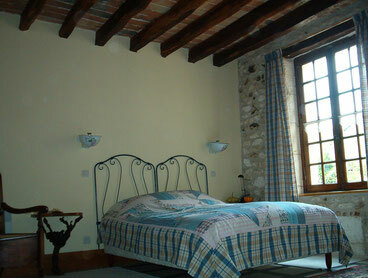 The decoration is based on a vineyard. 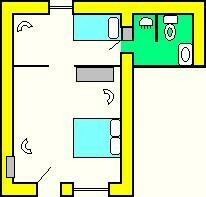 The bathroom has a shower, wash basin and wc. There are armchairs and a writing table. 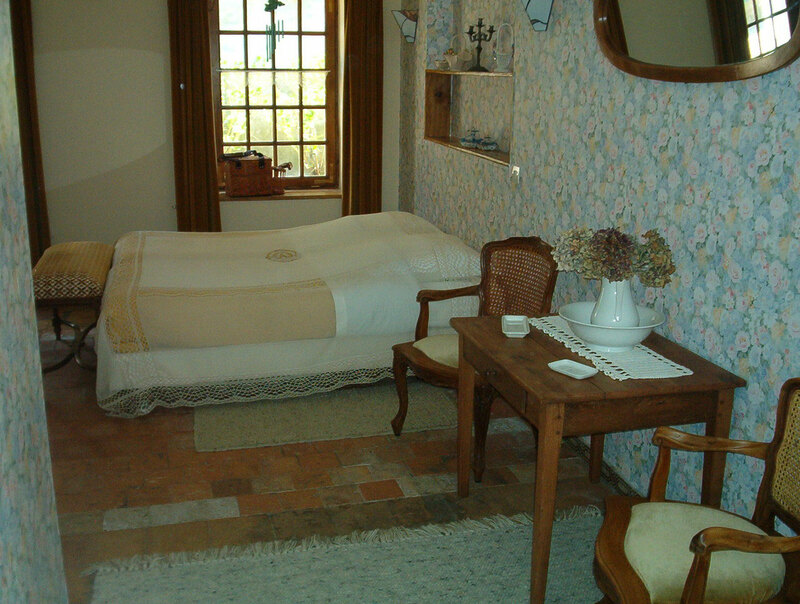 This room's decoration is based on gardening. 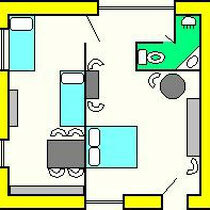 There is a double bed 180 cm or 2 singles in one room, with a single bed in the other part (see plan below). Also, there is a table and chairs. 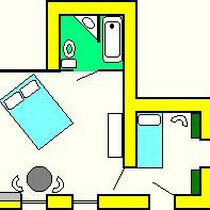 The bathroom has a bath with shower, wash basin and wc. 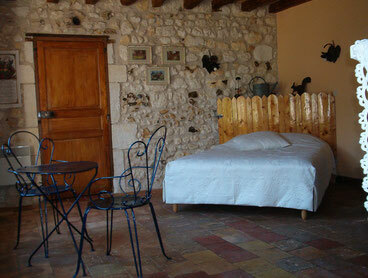 "Les Anges" "La Vigne" "Le Jardin"